BaseX can be used from the command line, in client/server mode, or via the Graphical User Interface (GUI). In addition to the main database functionality, the GUI does not only provide iteractive views for visualizing your XML data, but also a powerful interactive query editor. 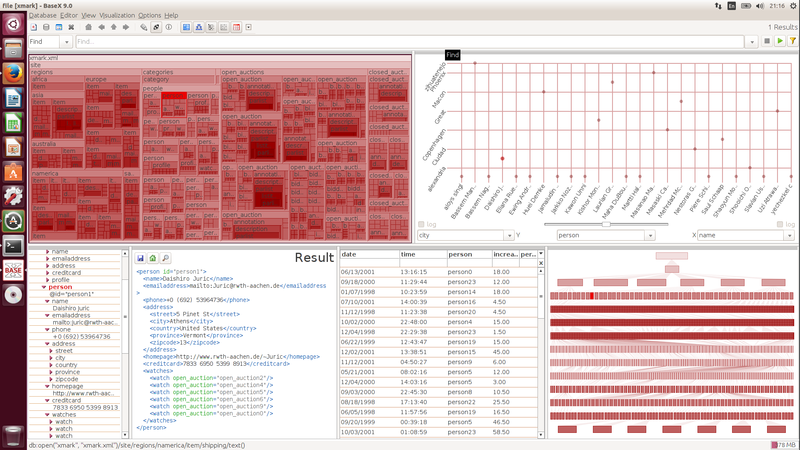 Visually explore, analyze and browse XML data: Get a quick overview or dive into the details, and freely combine all views. 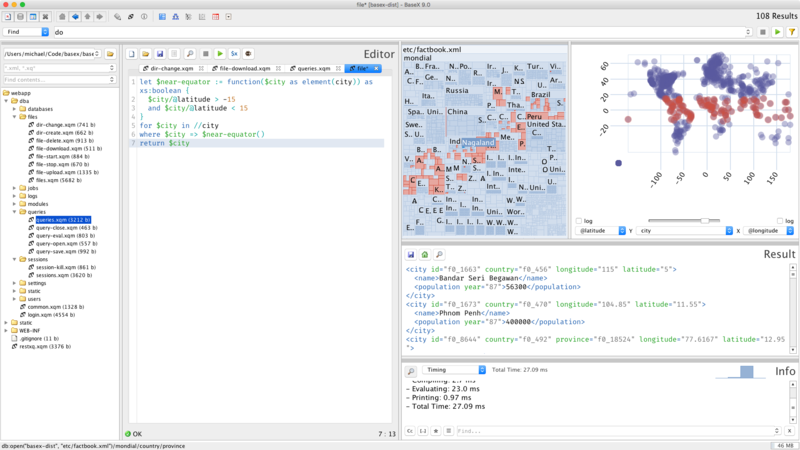 XQuery expressions may be executed as you type and the results are immediately visualized. 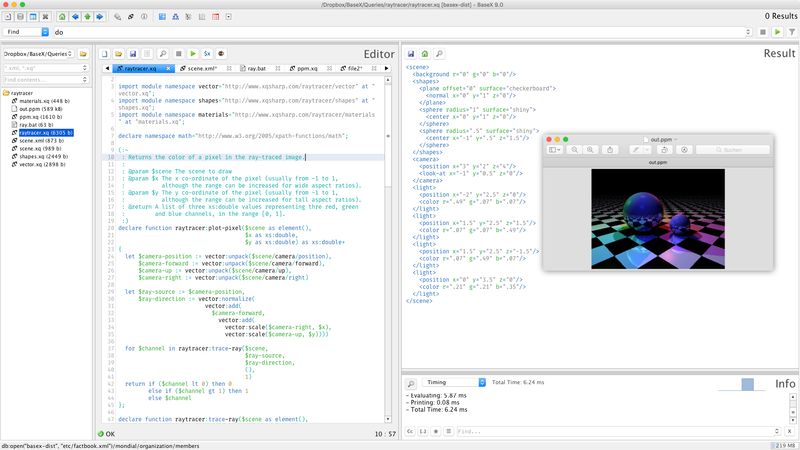 The embedded editor provides syntax highlighting, various shortcuts and shows detailed error feedback for debugging your queries with every keystroke. Fast ad-hoc requests: Enter simple keywords to query the structure and contents of your XML documents. Administrate the BaseX database server from a graphical user interface. 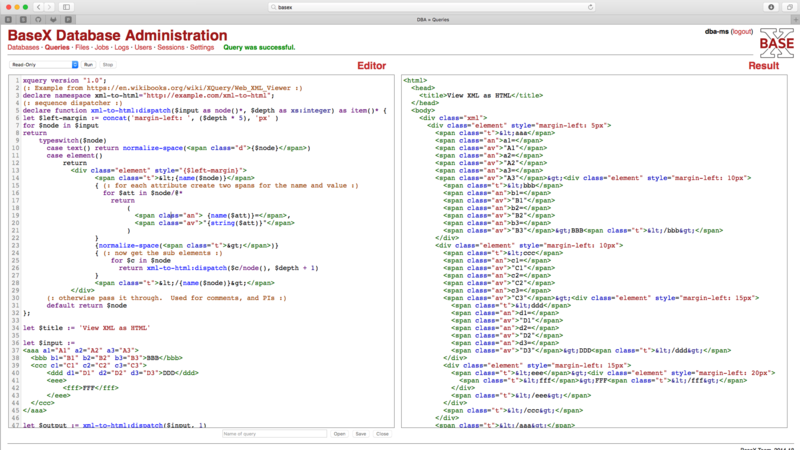 The editor offers a choice of possible location steps as you enter your query. Support for several languages (English, German, French, Spanish, Italian, Dutch, Japanese, Chinese, and others). 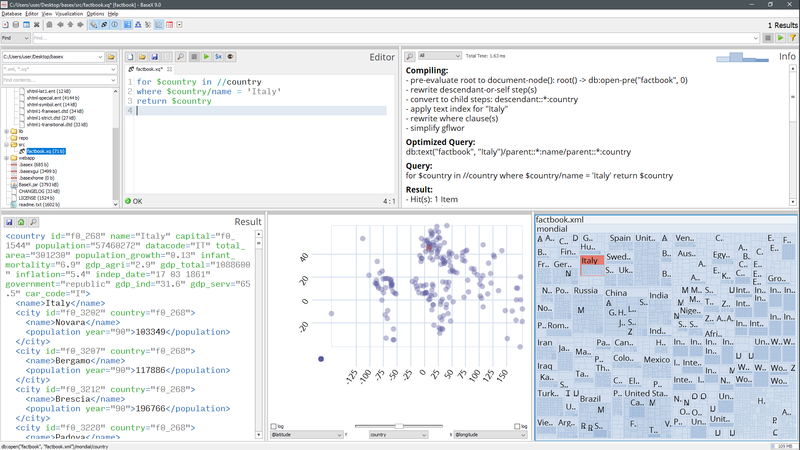 An advanced embedded XQuery Editor is coupled to the visualizations, providing instant result feedback. Query your data directly in the browser. Use visual clues to explore your data.